They may be cordoned off in exhibits, but zoo animals are still animals and potentially dangerous which is why the visitors stay on their side of the barrier and the animals on theirs. Or at least they’re supposed to. This past weekend at the Cincinnati Zoo a child slipped away from his mother and fell into a gorilla exhibit. Zoo officials made the call to shoot and kill the gorilla to save the child. The Salisbury Zoo doesn’t have gorillas, but it does have dangerous animals and it has a plan in case someone were to get inside an exhibit. 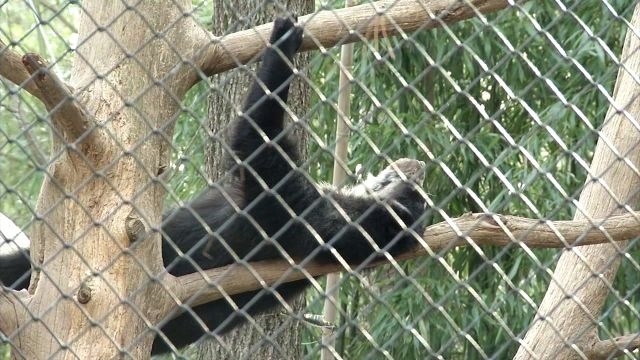 “We have a dangerous animal response protocol that we go through and it involves everything from making sure that the city and the city police department are aware of the situation, to how our staff responds and what we do,” said zoo director Zach Piland. The goal however is to never have to use that protocol by preventing visitors from getting into exhibits in the first place. That’s why zoo keepers are stationed in each of the zoo’s three zones and why there are double barriers at almost every exhibit. If someone were to make it over officials would have to make a decision taking a number of factors into account like the size of the animal, whether it’s a predator and how it’s reacting to the intruder. “We have to deal with what we know and our assessments of the situation and the risk factors and respond to that,” Piland said. The best outcome would be to help the person out without interfering with the animal. But that’s not always an option, so the call would be made to either tranquilize or kill the animal. However zoo officials are confident these hypotheticals won’t play out, as long as people use some common sense.